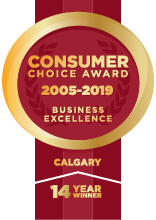 Alberta's #1 choice since 1982 for everything you need to choose the right products for your exact project needs. From initial consultation, through to installation and regular service or maintenance, Ultra-lite is your one stop shop for everything in overhead and garage doors. If you're ready to invest in the perfect overhead door solution, contact us or make an appointment to visit our head office to speak with a customer service representative today.